Single Vineyard Champagne: Fad or Future? In the early 20th century, Pierre Philipponnat revolutionised champagne. Although only the most eager enthusiasts will know his name nowadays, his legacy lives on, and the impact he had on the champagne industry has arguably never been felt as profoundly as it is now. It may even dictate which champagnes are the most celebrated in the future. 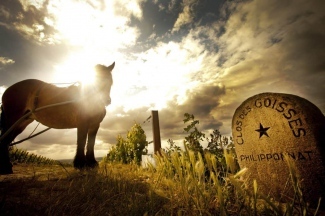 The story begins in 1935, when Pierre, the founding father and then Director of Champagne Philipponnat, acquired the unique Clos des Goisses vineyard in Mareuil-sur-Aÿ. The vineyard was renowned for its incredibly steep, south-facing slope of pure chalk, which sits at an eye-watering inclination of between 30 and 45 degrees (Goisses is regional slang for “very steep vineyards”). 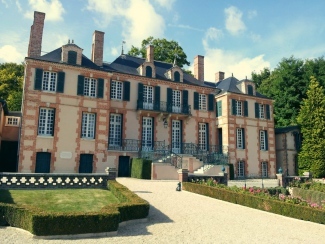 Pierre, quick to realise the potential of this unique plot, immediately started producing a champagne made solely from grapes grown on Clos des Goisses. Fast-forward eight decades and even a casual connoisseur would recognise his creation as a well-known, distinct and individual style of champagne, yet it was pioneering at the time. Almost overnight, the ‘single vineyard’ champagne was born. Pierre originally called his champagne “Vin des Goisses”, but, on the recommendation of French journalist Renaud Boudoin, renamed it “Clos des Goisses” in 1959. 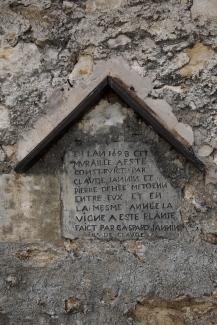 (Clos, meaning walled vineyard, was a popular term in Burgundy at the time). 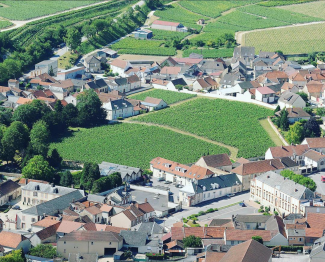 For many years, Clos des Goisses was the pinnacle of terroir in the region; the lone declaration that great champagne could be made from a single plot, rather than the centuries-old tradition of blending grapes from several vineyards together. 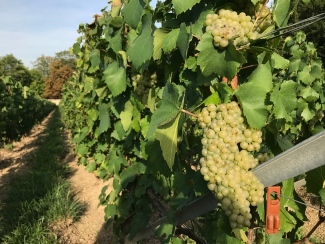 Single-Vineyard Champagne: A champagne made entirely from a single vineyard, or parcel, of vines, as opposed to being blended from many different vineyards. It took 16 years for Pierre’s innovative approach to be replicated elsewhere and, even then, it was done so in a modified format. In 1951, Jean-Cattier, Director of Champagne Cattier, acquired Clos du Moulin, a 2.2 hectare walled vineyard in Chigny-les-Roses, a northern village of the Montagne de Reims. The land was mostly unplanted having been destroyed during the wars, yet Jean-Cattier restored the vineyard and vinified the grapes from Clos du Moulin into a single vineyard champagne. Clos du Moulin differs from Clos des Goisses in that it is a multi-vintage champagne, produced from the grapes of three different vintages. A few years later, Remí and Henri realised that the protective wall, the pure chalk soil and the east-facing plot (the majority of vineyards in Le Mesnil are south-facing), cultivate a unique micro-climate that aids the production of exceptional quality champagne. Krug launched Clos du Mesnil from the 1979 vintage and it has since become one of the most sought after and respected wines in the world; an emblem of luxury and singularity. Despite these early success stories, the as yet undefined category of single vineyard champagnes remained an anomaly. Produced in such miniscule quantities and lacking the pervasive consumer marketing tactics of the big-name brands with which we’re so familiar today, these champagnes remained the reserve of the Champenois themselves, reaching only the most zealous of collectors. It wasn’t until the mid-1990s that the concept began to take hold. Between 1994 and 1995, Leclerc-Briant released a trilogy of single vineyard multi-vintage champagnes; Billecart-Salmon launched the spectacular Clos Saint Hilaire; Claude Cazals unveiled the all-Chardonnay Clos Cazals; and Moët & Chandon released a multi-vintage “Trilogie des Grands Crus” range, which included three single varietal, single vineyard champagnes: Pinot Meunier Les Champs du Romont, Pinot Noir Les Sarments d’Aÿ, and Chardonnay Les Vignes de Saran. (The range has since been discontinued – a peculiar move, considering the contemporary popularity of terroir-designated champagne). Following the mid-1990s surge, single vineyard champagnes reached a tipping point in the 21st century. Taittinger launched Les Folies de la Marquetterie in 2006; Philipponnat expanded their seminal range to include Clos des Goisses Juste Rosé in 2007; Krug finally revealed Clos d’Ambonnay in 2008; and the list is continually growing – the first vintage of Clos Lanson was released as recently as 2016. Furthermore, the bulk of the action, rather than being concentrated around the major houses, takes place amongst the smaller producers and growers. 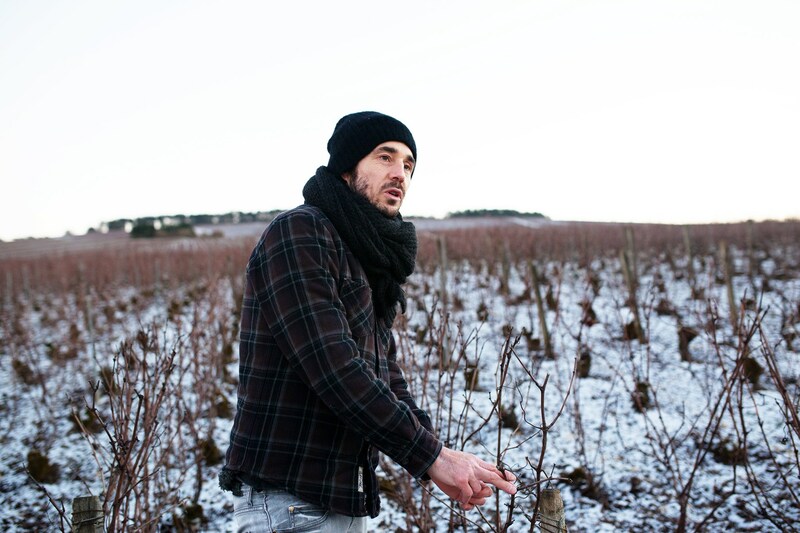 Cédric Bouchard, a grower who has risen to considerable fame over the past decade, creates only single vineyard, single variety and single vintage wines – from vineyards as tiny as 0.2 hectares. Chartogne-Taillet, Ulysse Collin and Nicolas Maillard are just some of the other players defining this growing trend – and there are many, many more. Today, the single vineyard category is, unequivocally, en vogue. To comprehend the meteoric rise in popularity of single vineyard champagnes requires an appreciation for the land upon which they are grown. There are currently 318 villages that make up the viticultural appellation of Champagne. Traditionally, winemakers would begin with hundreds of these individual wines at their disposal and, either alone or alongside a team, spend much of springtime deciding which wines to blend and in what quantities, to produce the different champagnes in their portfolio. To achieve such a feat requires a technical understanding of each of the villages and the parcels within them, which all possess individual and distinctive characteristics. This is commonly referred to as terroir. The concept of terroir accounts for all possible factors that could effect vine growth – such as soil, subsoil, climate, relief and topography. Terroir can be thought of macroscopically – such as the general terroir of Champagne, and microscopically – such as the terroir of a specific parcel within a vineyard. Herein lies the enchantment of terroir-designated champagnes, be they single village (monocru), or single vineyard (monoparcelle). Single vineyard champagnes present the wine lover a rare opportunity to distinguish the individual origins of their champagne. The wine lover fond of this intellectual approach could spend an evening exploring Chardonnay, grown and produced singularly, in diverse regions of Champagne: a bottle from the Côte des Blancs, such as Larmandier-Bernier Vieilles Vignes de Cramant (produced in Cramant); another from the Montagne de Reims, such as David Léclapart Cuvée l’Apôtre (produced in Trépail); and finally an example from Sézanne, such as Ulysse Collin Blanc de Blancs (produced in La Gravelle). Indeed, the peculiarity of their terroir is what makes plots such as Clos des Goisses and Clos du Mesnil so renown. 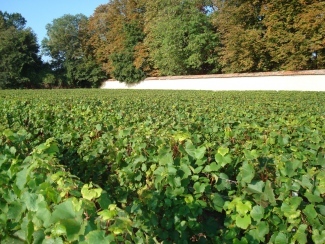 Tom Stevenson has previously said: “there can be no doubt that Clos des Goisses boasts the most climatically distinct, naturally occurring and expressive terroir in Champagne.” It is unlike any other vineyard: an unbroken 30 to 45 degree, fully south-facing slope of pure chalk backed by a small plateau above the Marne River. In warm years the plateau assures balance; in cool years the steep southern slope guarantees ripeness. That said, single vineyard champagnes don’t have to break the bank. Although the world’s most notorious examples, such as Bollinger Vieilles Vignes Françaises and Krug Clos d’Ambonnay, often retail at prices between £500-£2,000 per bottle, other great single vineyards can be picked up for under £50, such as Taittinger Folies de la Marquetterie. Another important factor driving the demand for single vineyard champagne is a renewed consumer interest in artisanal, handcrafted products – particularly amongst younger generations – as evidenced by the rapid growth of the craft beer industry. 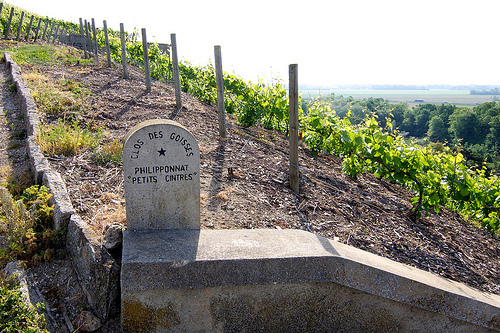 Take Clos des Goisses, for example – lying on such a steep gradient as it is, no tractors can be used to work the soil. Instead, Philipponnat do it the old way: horses pull the ploughs, and weed-controlling, pruning and harvesting are all performed manually. Single vineyard wines represent a lucrative marketing opportunity for growers, whose hard work in the vineyard producing hand-grafted champagnes, can somewhat redress the substantial imbalance between the marketing budgets of the small producers and the big-name brands. As a result, the current ratio of how champagne is produced and sold – there are some 16,000 growers in Champagne, who collectively own approximately 90% of the vineyards, yet account for less than a third of all champagne shipments – is beginning to transition, in favour of the growers. Despite there being just two or three varieties in the more than half century since Pierre Philipponnat first conceived the notion of a single vineyard champagne, today they come in all different styles and qualities. The ‘originals’, such as Clos des Goisses and Clos du Moulin, were varietal blends of Chardonnay and Pinot Noir. Jean-Cattier of course blended three vintages to create Clos du Moulin, in an attempt to minimise the individual effect of each vintage, however most single vineyard champagnes come from a single vintage. There are exceptions to the rule, and here, once again, the growers are leading the charge. 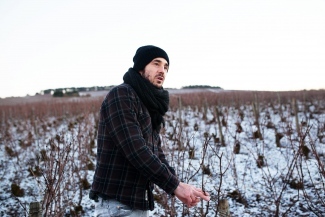 Jerôme Prevost, Tarlant and Chartogne-Taillet all produce 100% Pinot Meunier champagnes from a single vineyard; Cédric Bouchard – who takes the term micro-terroir to its extreme with his miniature vineyards – even makes a Pinot Blanc, called Roses de Jeanne La Bolorée; and rosés, although still uncommon, do exist – Jacquesson Terres Rouge, Drappier Grande Sendrée Rosé and Philipponnat Clos des Goisses Juste Rosé are a few examples. For centuries, the reputation of Champagne has been built around a tradition of expertise in blending. Taking the constituent components – varietals, vineyards and villages – and assembling a masterpiece that is greater than the sum of its parts has been the winemaker’s bread and butter since the very beginning. However, that tradition is fading. Long-ignored site-specific champagnes are becoming the trailblazers of the modern industry, steering the direction in which our understanding of what champagne means to the consumer – and loosening their purse strings at the same time. Stimulated by a deeper understanding of viticulture and an almost cultish generation of progressive growers – Jacques Selosse, Olivier Collin, Cédric Bouchard – the terroiriste movement is all the rage, with producers both big and small jumping on the bandwagon. Such a transition isn’t unusual for fine wine. Just a few decades ago, Burgundy was dominated by the large, big-brand sellers. Nowadays, the most sought after and highly priced wines are the single vineyards, which have become commonplace in the region. Although its far too early to suggest that champagne has a similar destiny, the Champenois are undoubtedly evolving with the times, and the avant-garde growers of the moment offer today’s enlightened champagne consumer more than just fantastic fizz – they tell a story, represent authenticity in an age of endless marketing, and reconnect the consumer to the earth from which champagne is produced.